Yes, the Honda Civic has been outselling every other vehicle in its segment for over 20 years now. That means the Civic managed to stay at the top of the sales charts every time Honda redesigned it, which is no easy feat. When you redesign a vehicle, you run the risk of changing its personality, and ultimately changing what made it successful. This hasn’t happened with the Civic. Introduced two years ago, the current generation Honda Civic is more spacious, comfortable, fuel-efficient, and safer than ever before. It also has more versions and trims while offering a diversified and comprehensive engine lineup. And yet, it’s still incredibly reliable and continues to offer impressive resale value. In other words, the 2018 Honda Civic offers everything you’d expect from a Civic with even more features to boot. No wonder it’s so popular. The 2018 Honda Civic features a standard 2.0-litre, four-cylinder engine that delivers 158 horsepower and 138 pound-feet of torque. This engine is more powerful than most entry-level engines in its segment. It’s also more fuel-efficient, with an average fuel economy rating of just 7.0 litres per 100 kilometres when you opt for the CVT automatic transmission. If you want more power, you can turn to the all-new 1.5-litre, turbocharged four-cylinder engine that delivers 174 horsepower and 162 pound-feet of torque. This engine happens to be more fuel-efficient than the entry-level model, with an average fuel consumption rating of just 6.6 litres per 100 kilometres. 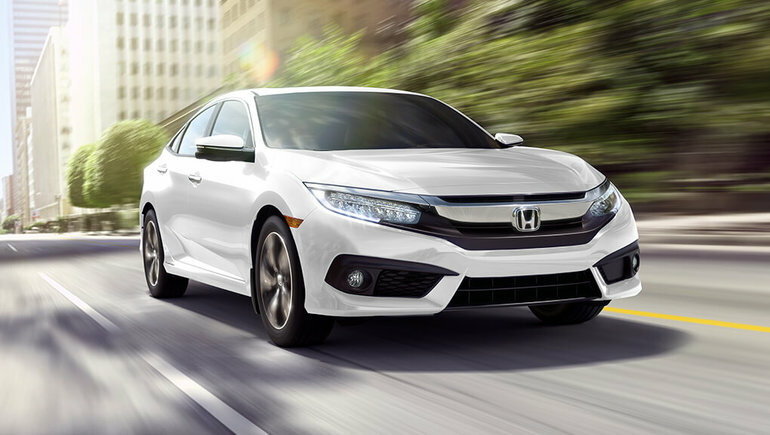 The 2018 Honda Civic also comes in the powerful Si and Type R models. As you can see, there are a lot of options when it comes to choosing the engine that’s right for you in the 2018 Honda Civic. There are also a lot of options in terms of choosing a body style too, as the Civic is offered in sedan, coupe, and hatchback trims. Contact us today to learn more about the 2018 Honda Civic!